Teachers often mention original dancers in class; however, those names may easily be forgotten between leaving the workshop and getting to YouTube. So, to make it a little easier, this is a list of original Balboa followers often mentioned in classes, with links to clips of their dancing (other sections for Lindy Hoppers coming as well). This will take some time to fully complete, what with all the biography information and clips, but I figured it’d be kinda neat to construct it in front of people’s eyes. These entries will grow with biographical information over time. Not all the dancers will have a wealth of information, but we’ll try to get what we can. (Also, it is simply the nature of the history that I have so much more information on leaders than followers. I’m dedicated, however, to getting more information on the followers in this post.) So, enjoy! Names are listed in alphabetical order, so aside from a special section on the “Most Influential,” order does not signify importance. Names may be added, so if you’d like to recommend someone, feel free to mention their name in the comments. Please note: Marge Takier and Lila Desatoff began dancing after the original swing era. However, you can see plenty of Marge’s dancing in Hal Takier’s video and Lila’s in Willie Desatoff’s video. As always, we strive to be unbiased and accurate. As much of this is an oral history, there may be some mistakes. If you see there is an error, please notify us with the error and any references for the correction and we will try to rectify the situation immediately. NOTE: One doesn’t tend to look at original followers for moves, but instead for movement. Sure, there are some footwork variations and occasionally even full-body styling in these clips. But those are few and far between for original followers. Instead, the original followers are defined much more by their movement — like the intricacies of how they put their foot into and out of the floor, their timing, their posture, their pulse, their shuffle, and the way they flow through movement. Natalie Esparza was an original-era Swing and Lindy dancer. Years after the war, she dragged her niece to learn Lindy Hop from her good friend Dean Collins. To little Mary Anne Nuñez, the rest was history. (Still collecting information on Marie. There isn’t much.). Inez Thompson’s husband, Ed, apparently first saw his future wife when she was standing up on a library ladder. He noticed her legs and asked her out. 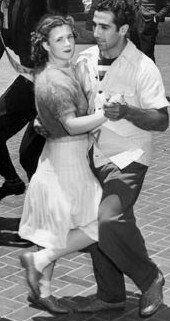 Ed and Inez primarily danced what they called Balboa (what we call “Pure Balboa” today), though they learned some Bal-Swing later in life. Inez is known for her smooth movement, and her almost-always bent knees are a striking part of her style, considering very few other influential Bal-Swing followers danced that way. Betty Takier dancing with her husband, Hal, in a Ray Rand Swingers performance. Anne Mills is still with us today and has been incredibly helpful in bringing understanding of Balboa and Bal-Swing to the modern dancers. In many circles she is known as the “secret keeper,” because she knows things about the dance that very few other original dancers can articulate. 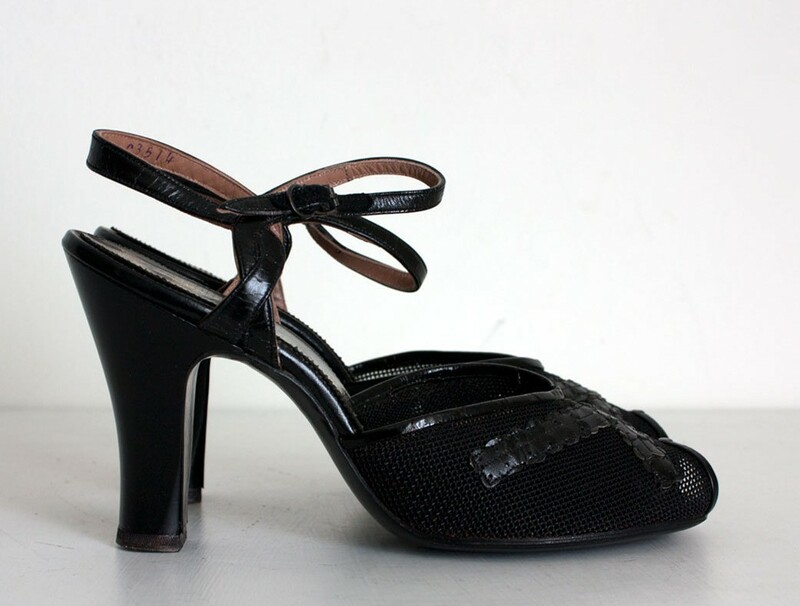 The first wife of dance legend Hal Takier, Betty helped invent many of the unique trick steps the partnership had. After the swing era, however, she soon quit dancing. His death in 2012 brought focus to her styling once again in the classroom. Venna Archer was one of the original Ray Rand Swingers, the only follower of the group who can be seen dancing in her older age (that I know of). More info on Venna hopefully coming. More info on Snookie coming. As far as the clip goes, don’t blink. Marion Goldy and Jack Arkin won the great “Swingeroo” contest in 1939, probably the largest swing dance contest to ever exist. The beat out other famous competitors like Hal and Betty, Roy and Snookie, and Dean and Jewel. 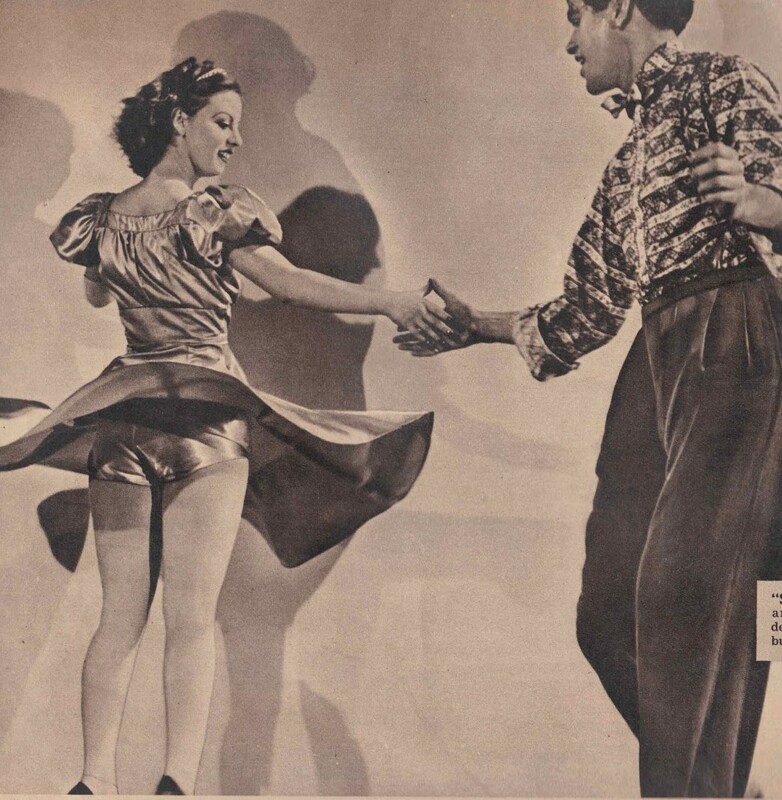 History has shown that though Jack and Marion had fancy steps and clean dancing, it’s the dancers with that as well as more individual style that have influenced the modern scene more. They can also be seen in the background of Naughty But Nice. More information coming. Snookie Bishop in a photo-shoot with Roy Damron. Photo courtesy of Beth Grover. (1919 – 2009) Genevieve Grazis, later Jenny Gray, and then later Genevieve Grazis Sliakis, is most known in Bal-Swing history as the girl in all white in the Beach Clip. We here at Swungover were excited to be able to rediscover her, as well as quite a lot about her, here and here. She learned Swing and soon after Lindy Hop, and changed her name to Jenny Gray when she started dancing more in films. She soon quit dancing, however, and settled down into family life. We discovered the name of the dancer a few years after her death. Mary was Maxie Dorf’s partner in the 1930s while in the Ray Rand swingers. You can see a photo spread of Maxie and her here. Ironically, the most famous Bal-Swing dancer in the modern swing scene is Jewel McGowan. The reason it’s ironic is she is hardly known for her Bal-swing, but her Lindy Hop: When Dean Collins came to California and brought his New Jersey style Lindy Hop with him, the only followers around danced SoCal Swing (aka “Swing” aka “LA Swing,” the early form of Bal-Swing). Jewel McGowan was one of these followers. Now, there’s hardly any footage of her doing Bal-Swing, but if you watch her Lindy Hop, you can see how Bal-Swing greatly affected the way she interpreted Lindy Hop. Thus, part of the magic of Jewel’s Lindy Hop was her unique Bal-Swing approach to it. I questioned if I should include her in the ‘most influential’ section above. However, very few Bal-Swing teachers mention Jewel McGowan in class and focus on an aspect of her dancing, unless it’s a class about Bal-Swing and Lindy Hop differences and similarities, and very few instructor followers have mentioned Jewel as a Bal-swing influence. Hence, the “more notable” category. (However, in the upcoming post on Lindy Hoppers, she will probably be at the top of the list as the single most influential original Lindy Hop follower of the last 15 years. Almost every single Lindy Hop follower instructor has her as an influence, whether they know it or not.) Jewel died in 1962 of cancer. Though she spent all of her movie screen time as a Lindy Hopper, the Lindy-famous Southern California dancer Irene Thomas was also a Swing dancer, in the Bal-Swing sense of the word. She danced with all the greats in the swing era. Here is some footage of her dancing her unique style of Bal-Swing. She is still alive today. Freda is still with us today. She danced in almost every southern California ballroom in the 1930s and danced in movies throughout the 40s and 50s including Don’t Knock The Rock. This project is dedicated to Dwight Lupardis, the original Balboa historian whose passion for the dance helped save it and the memory of its dancers for future generations in the form of the film The Balboa Project, where many of the clips in this post come from.